You can use this function to select data from two linked tables. The condition with which these two tables can be linked can consist of any number of sub-conditions. 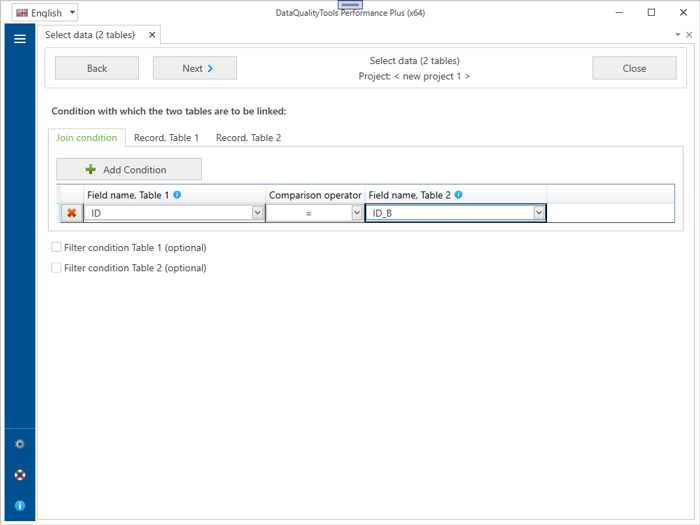 Optionally, you can specify a filter condition for each of these two tables, for which the same options are available as for the selection criterion for the "Select data" function for a single table.